These days, there are very few people who don’t have the Northern lights on their bucket list. After all, such an alluring and fascinating natural phenomenon is far and few in-between. 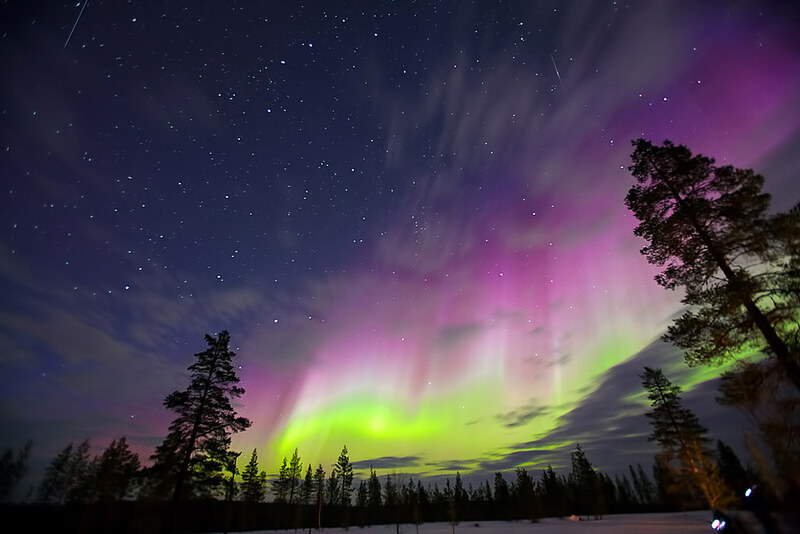 The only issue is where to begin your search for northern lights; with many people on a treasure hunt for the aurora borealis, the many signposts to different countries may seem overwhelming. Too often overlooked, Finland boasts a beautiful landscape and excellent view of the northern lights, plus you’re as likely to spot a reindeer as a common pigeon in England. Lake Inari is by far the best background for that perfect Instagram shot.Get arty with the reflection in the lake water and take in the scene. Plus, line up your trip with the Christmas holidays, and a short visit to Lapland is bound to please children and the more festive adults. Looking for an extra festive way to travel around? Finland offers Reindeer or husky sleigh rides as a savvy mode of travel: simply book online at Lapland Safaris. Not wanting to stray too far from home? Or simply don’t like long-haul flights? The best place in Scotland to see the northern lights is the stunning island of Isle of Skye, where the dark skies are also perfect for stargazing. The Shulista Croft Wigwams are an ideal base for hunting the northern lights, providing a self-catered and sheltered accommodation surrounded the best of the Scottish wilderness. Your best chance of watching the northern lights is in the dark winter months, but just make sure to keep an eye on the weather to avoid fog and storms. If Northern Sweden’s clear, dark skies aren’t enough to convince you, world-famous ICEHOTEL 365 will. Offering both warm and cold rooms, ICEHOTEL is fixed near the frozen Torne River in Jukkasiarvi, yet another unique item for the bucket list. In the cold rooms, you have the chance to sleep on beds made from ice directly from Torne River, which are, of course, fully recyclable, melting in the summer to return to their source. Displays of the northern lights are a regular occurrence during the winter, meaning you’re unlikely to miss the fascinating swirling green lights. Suitably named ‘The City of the Northern Lights, picturesque Norwegian town of Alta is a prime location to experience the aurora borealis. Home to Seiland National Park, when you’re not out hunting the northern lights, you have the chance to go canoeing, fishing, or even dog-sledding along the Alta river.